Sandown Limousine is a quality executive chauffeur driven car hire service, providing chauffeur services, chauffeur driven mercedes, executive car hire and chauffeur driven cars for all types of travel. We operate in North- East, Newcastle, Gateshead, Durham, Northumberland and Tyne and wear. 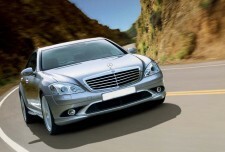 We use modern Mercedes S Class and R Class Executive Saloons . We also have Luxury Mercedes People Carriers and mini-coaches all of which are available for business meetings, corporate travel, business travel, airport transfers and business events. Our chauffeur drivers are trained to the highest standards and are uniformed. We provide a friendly and reliable chauffeur service to all customers whether corporate or private. We undertake all types of contract from the special occasions, business conferences and airport transfers to long distance travel and accompanied tours of the region in Newcastle, Durham, Northumberland, Gateshead, Tyne and Wear & the North-East. Our Executive Car and coach hire service can operate anywhere in England including Executive travel to London, South. We can take you on a great journey in our luxury Mercedes S Class,orJaguar XJ, offering our executive business travel & chauffeur services on long distance travel from the North to London, South, Mercedes S Class cars is one of the most prestigeous in England and Wales, Newcastle, Northeast, Durham. 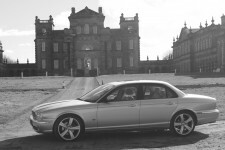 Our modern fleet of Jaguar XJ, XF and Mercedes S Class, R Class and V Class Luxury chauffeur driven cars and Coaches can be hired at the most competetive rates. We are leaders in Executve private car hire and luxury executive travel.We operate on a Nationwide basis Covering, England ,Wales and Scotland with our Executive Chauffeur services. STOP PRESS, -: WE HAVE NOW ADDED THE JAGUAR XJ TO OUR WEDDING FLEET, THIS Car in Beautiful Champagne Gold will enhance your special day.